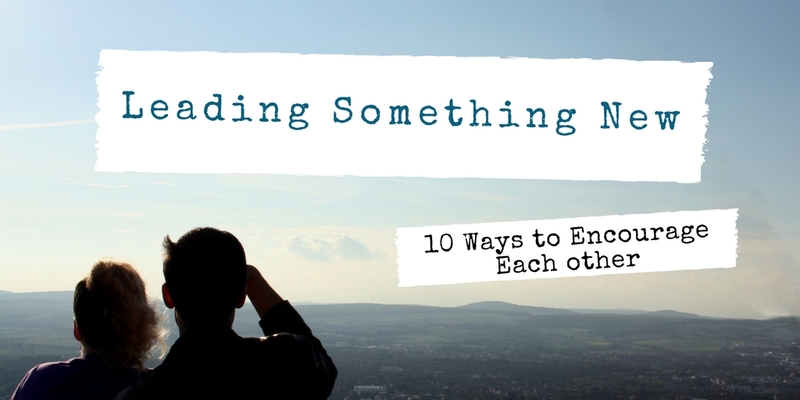 Do you ever need to encourage each other when it’s time for something new? 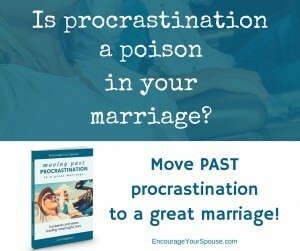 What if you or your spouse is supposed to lead into that “something new”? Many of us – husbands and wives – are in leadership roles. Sometimes those we lead are our immediate family. At times we lead without a particular position or title, but rather through our behavior. And then there are all the areas in which we do have a specific title: teacher, boss, manager, pastor, etc. Robert and I have found the encouragement from Lead Like Jesus especially valuable in all areas of our leadership. Rob feels so strongly about the organization that he is a facilitator for the program. We keep the book by Ken Blanchard, Phyllis Hennesy Hendry and Phil Hodges, on which the organization is founded, as one of the few actual physical books in our little house-on-wheels. Ken Blanchard is the co-author of “The One Minute Manager”. His testimony of how Lead Like Jesus came into being is beautiful. Rob and I write for the Lead LIke Jesus blog each month, so the ideas shared within the Lead Like Jesus Leadership Encounter are always top of mind. Needless to say, leading like Jesus is an important part of every part of our leadership as husband and wife. These ideas are courtesy of the Lead Like Jesus posts on Instagram! To be inspired, check them out on Instagram! 1 – Commit it all to God. When leading something new, encourage each other to commit it all to God. 2 – God is with you. 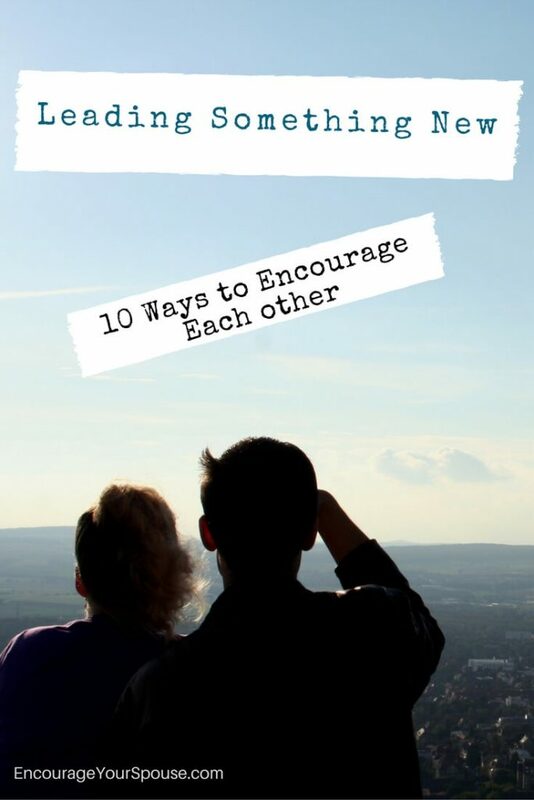 Encourage each other by reminding your spouse that God is with you – wherever you find yourself leading something new. 3 – Influence to build up. Even while leading something new, notice where you can influence to build up. 4 – Make God first. Encourage each other to prioritize your relationship GOD. Make HIM first. 5 – Change can be good. Encourage your spouse to embrace change as you lead something new. Every good thing comes from God when you’re leading something new. 7 – Use your time like it matters. It does. Encourage each other that there will be a harvest. Make the best of your time today when leading something new. Take those around you out of the “penalty box”. 9 – Keep your eyes on God. This is good when leading something new – and always! 10 – Leaders are Learners. When leading something new it’s so important to keep learning! Click HERE to get a free copy of their most popular leadership E-Book: 6 Lessons from the Greatest Leader Role Model! If you’re interested in a Leadership Encounter with Lead Like Jesus for your organization, non-profit or church leadership, fill in the form below — Rob would be thrilled to tell you all about the opportunity to learn to Lead Like Jesus. 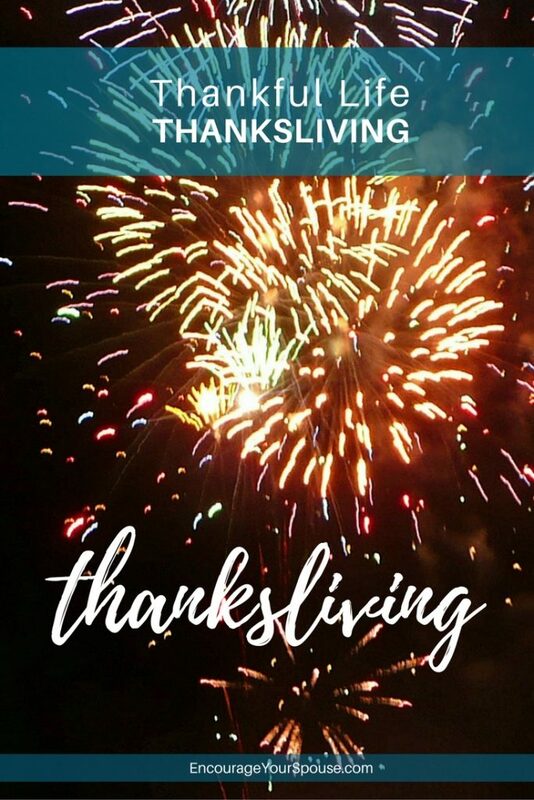 A Thankful Life Thanksliving 2018. Encourage your spouse to live thankful with 365 days of noticing all the blessings the Lord provides in your life. As husband and wife, Rob and I are going to focus on being thankful – in all circumstances during 2018. THANKFUL will become our OneWord365. Thankful Life. Thanksliving. To practice this art of being thankful THANKSLIVING – we are planning on sending a thank you note (either via snail mail or an e-card) every day of 2018. It’s a real challenge because I (Lori) am not good at things that are on-going. Rob’s going to encourage me. 😉 (That’s what John Kraliks book is about.) As the year progresses I’ll let you know the other things we will be doing for a thankful life THANKSLIVING. Thankful life. The art of thanksgiving… or thanksliving. by accepting them as obligations to be invested for the common good. by doing things for others. by accepting them as a challenge to achievement. by striving to make others happy. by helping to make the world more beautiful. by trying to be an inspiration to others. by the care and reverence you show your body. by adding your own creative contributions to human progress. by living it to the fullest. 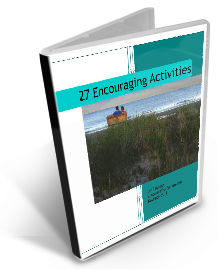 by giving hands, arms, legs, and voice to your thankful spirit. It is adding to your prayers of thanksgiving acts of thanksliving. Join us! Thankful Life Thanksliving. 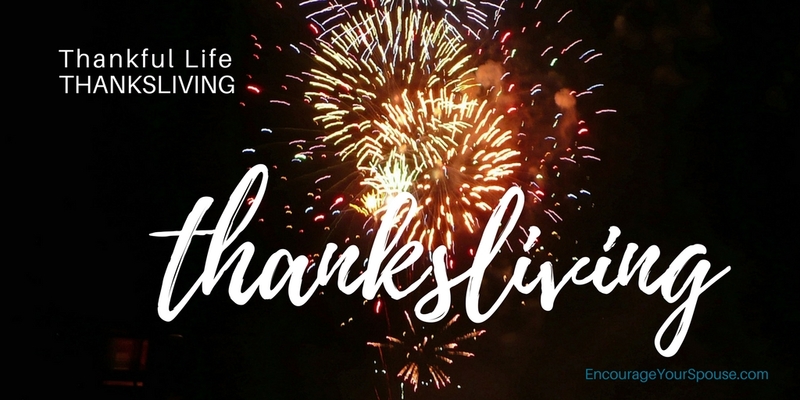 Want to live a thankful life Thanksliving this year – regardless of your circumstances? Janice Kaplan, author of the Gratitude Diaries divided her year into areas in which to be thankful, including her marriage, food, money, things, health and more. What would you focus on first in your life as husband and wife if you were going to be living a thankful life – THANKSLIVING? Hannah’s YEAR of Thanksliving! <- She did little “thank you notes” each day and put them in a container. Crystal’s Blessings Jar – she’s using it to make note of all the blessings in her life. OneWord365 Thankful. Have you heard of OneWord365? Summed up, it’s the act of choosing one word to represent your focus for the year ahead. 365 Days. One Word. For 2018 we’re going to focus on the word “thankful”. And to this end, I’ve been doing some research on books to read, poems and quotes, along with blog posts and everything else you can find online that’s connected to being thankful. OneWord365 Thankful. I began my focus on being thankful – or gratitude – a few months ago. Rob and I wrote about our discussions about thankfulness on the Lead Like Jesus blog in the post “Thankful or Grateful?“. In that post, we explored the two words: thankful vs grateful. Which would you use, and when? Wilferd Peterson wrote 10 books that grew from many magazine articles. He credits his wife, Ruth, as being the inspiration for his work saying that while he “wrote about the art of living, she lived it“. He passed into eternity in 1995. Sounds like a great couple, right? And then, as I was reading about his life, I realized he’s best known for his poem on marriage! The courtship should not end with the honeymoon, it should continue through all the years. 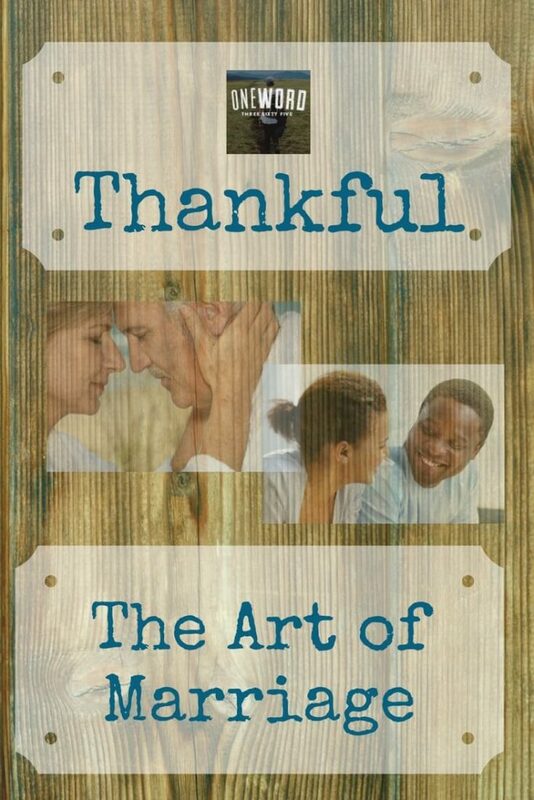 Are words of appreciation and demonstrations of thoughtful gratitude part of your marriage? 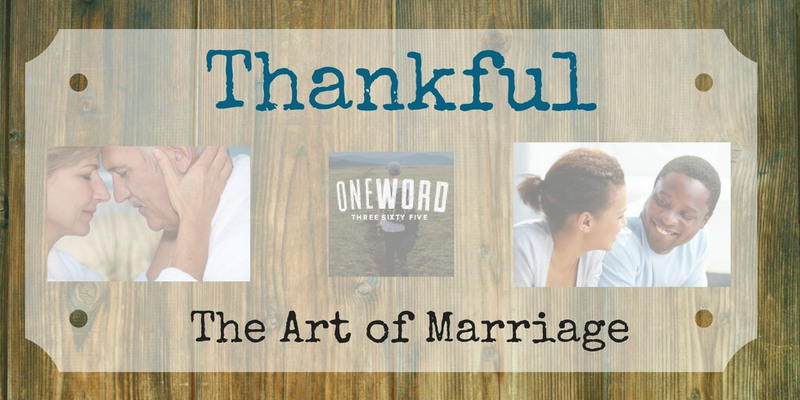 For the 2018 OneWord365 Thankful, we will definitely explore those words of appreciation and how to demonstrate thoughtful gratitude in our marriage. And we will have some ideas to share, too! 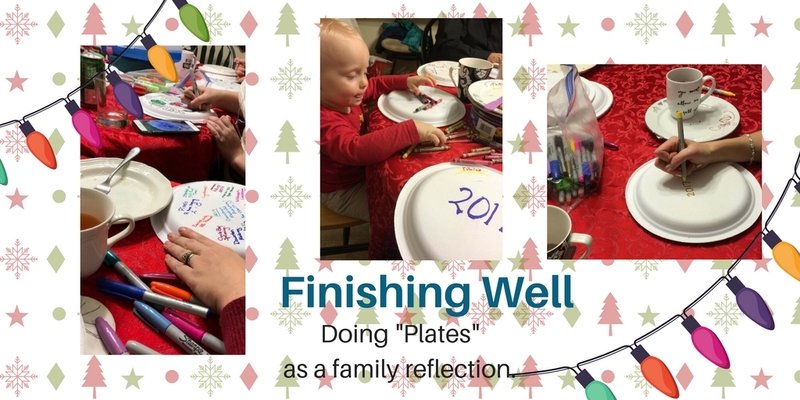 Family Reflection and Stories – Doing “Plates” to finish the year. Family Reflection and stories. These are a tradition at the end of every year in our family circle. 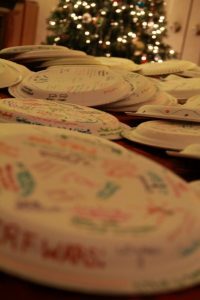 It began in 2000 – the year we moved to the USA when Rob brought some markers and paper plates to our Christmas Eve celebration. In the years since 2000, we’ve had additions to the family reflection – those who joined us for a few years and those whose time was their “first” time. Even the grandboy has his “Plates” from the year he was born, last year and this year! 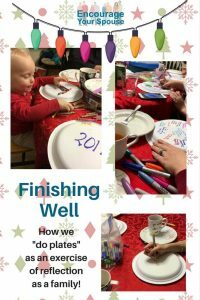 We wrote about this idea on the Lead LIke Jesus blog and suggested some family reflection ideas too! 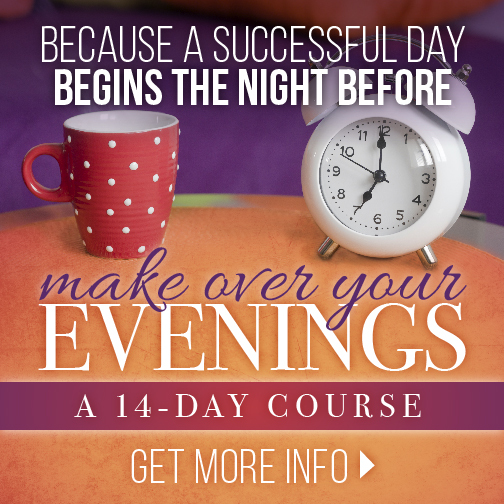 – check it out! How do you reflect on the past year as a family? Stories are such an important part of a family’s heritage. Where do they come from? You need a catalyst for family reflection and stories. Our catalyst to tell stories is our end of the year “Plates”. After our newest plates are completed we go around the table and explain what each word or image represents from that past year. The highs/wins are celebrated with rousing applause or a toast, and the lows are commiserated with by verbal encouragement. You choose what’s on your “Plate”, what you want to share and what you want to remember. Christmas letters can be a way to reflect on the past year. Re-reading them is a fun way to reflect and tell stories. Anne Markey talks about a family tradition her father began five years ago – he asked the family to write up a letter about their past year instead of giving gifts. And then they took turns reading those letters to each other, even if some of them had to connect via technology! One year that’s how she and her husband announced they were expecting their second child! Photos. Pulling out a family album and talking about those who are still there, those who have grown up, and those who have gone into eternity is a wonderful way to create a family reflection time. Family reflection and stories – a time to slow down and remember. Family reflection and stories – a time to slow down and remember. Here are 3 options! Building in time to reflect and tell stories gives the opportunity to slow down. Slowing down – isn’t that a precious gift at the holidays? How do you build in time for family reflection and stories? Easy and simple gifts? 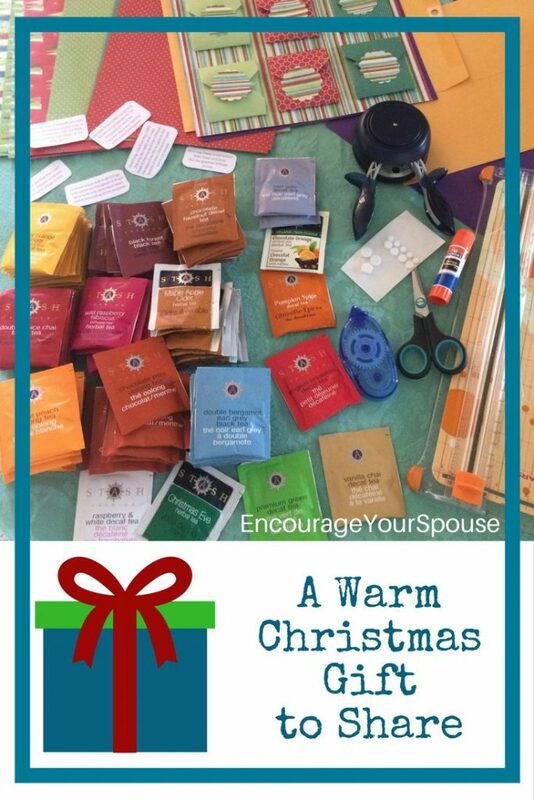 Giving gifts together – what’s your strategy as husband and wife? Sure, you’d delight to give your loved ones their hearts’ desires with money as no barrier… Rob and I would like to do that too. However, your finances as a husband and wife team might not support what you’d wish to give as Christmas or a birthday approaches. In truth, those who you love don’t care what you give them – your presence would be gift enough. But what if you can’t even give that? The holidays can be a bittersweet event when we’re feeling bound by circumstance. What can you do to make these days more sweet than bitter? There are still easy and simple gifts you can give as a husband and wife team, even if you’re in a tight spot. 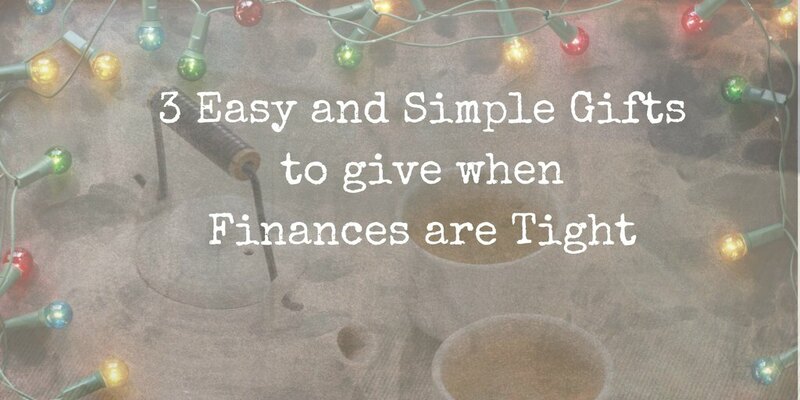 3 easy and simple gifts when finances are tight. 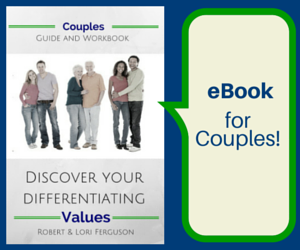 Try these 3 easy and simple gifts when finances and distance are barriers! 1 – Pray as a husband & wife team for those you love. We forget sometimes what a beautiful gift praying for one another can be. No matter age or stage, those we love have needs where only God can make a difference. There’s still time to ask those you love about their needs, and then spend time each day, as husband and wife, praying for them. Start now. Prayer has no cost. And the gift of intercession for your loved ones lasts into eternity. Begin simply if you’ve never prayed together before. Here’s a post on how to easily do that. And if you need help remembering to fit prayer into your day (because we’re all busy right now), then try some of these ideas! Prayer is a gift. It costs nothing but time, but the impact lasts and lasts. Prayer is an action! 2 – Use technology to visit those you love. Make a date. And as the special day comes closer, whether it’s Christmas or a birthday or some other occasion, arrange a time to connect. If you can visit in person that’s perfect. Otherwise draw close to each other via a Facetime, Zoom or Skype video call. Even a telephone call with that person can be valuable. Talking and sharing are easy and simple gifts. When you’re together – pray together. And share a cup of tea or coffee and a cookie or cake on both ends. Do those things you’d do if you were together. Share photos. Tell a story. Talk about how much you value and appreciate your loved one. Play a game. Be creative. As an aside: Our son just purchased a Virtual Reality headset – the technology is still new, but when we tried it Rob and I could see the possibilities… Maybe within a few years, we’ll be able to use this VR technology to “sit” with those far away, as though we’re in the same room. I can’t explain the extraordinarily immersive experience of VR. You really need to try it to understand. It’s truly amazing! Make technology work for you when cost and distance are a barrier – you can still give a gift! 3 – Share a warm gift delivered to their door. When distance separates you and your loved ones, there is still the opportunity to mail or ship a little something. However, if finances are a challenge then you also need to be aware of shipping/mailing costs. Rob and I need to mail items across the US border, so the costs skyrocket if we’re not careful. As I mentioned, we did some brainstorming and came up with something those we love will appreciate, we can “share” the experience with them, and the shipping costs will be minimal. See? Easy and simple gifts. Guess what it is? 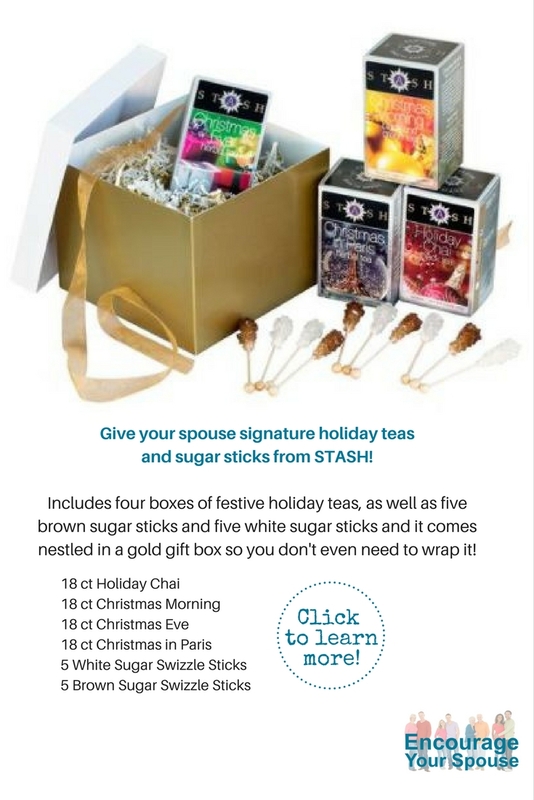 I ordered a variety of tea flavors from Stash Tea and made little easy and simple gifts to open. Tea bags are light, and if they’re packaged correctly they’ll easily fit into an envelope. The mailing costs will be minimal, but the enjoyment will last for days! And behind every tea bag in their own little envelope, I added a Scripture verse to encourage and surprise. God is faithful. All things work together for good for those who love Him and are called according to His purpose. These are good reminders for all of us! 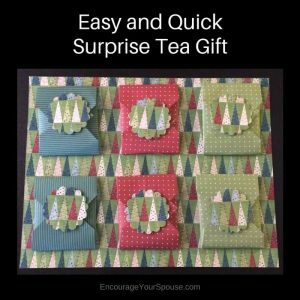 Tea – all packaged up in an easy and simple way is a great gift when finances are tight. Now we can have our long-distance visit via technology, while all of us sip our tea! Below the image are the instructions if you want to try your hand at these easy and simple gifts! Keep Scrolling! You’ll need one 12×12 cardstock, three pieces of 8.5×11 decorative paper, 6 Scripture verses printed (see below for 2 PDFs to download), glue, scissors, a decorative punch for the embellishment and little sticky foam dots. Cut the 12×12 cardstock to 8.5×11. Use the leftover strip to cut out 6 embellishments to put on the outside of each envelope. Cut each of the 8.5×11 decorative paper pieces (not cardstock) into two 5.5inchx5.5inch pieces. With the leftover strips punch out 4 embellishments – you’ll be gluing two embellishments into the inside of each envelope. Fold a 5.5×5.5 inch piece of decorative paper around one tea bag to begin making the envelope. (You’ll eventually glue each envelope onto the cardstock.) Turn the 5.5×5.5 paper like a diamond, fold the sides first, then the top and bottom. See the photo below. Do this with all 6 pieces of 5.5×5.5 decorative paper you’ve cut out. In the middle of each 5.5×5.5 envelope glue on two embellishments and a scripture verse. Place the tea bag into the envelope and refold it with the Tea bag inside. 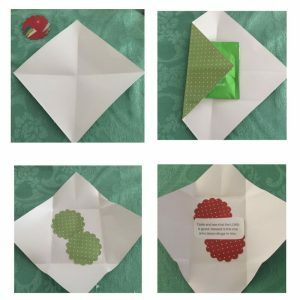 Use one of the cardstock embellishments (the same as the cardstock you will be gluing the envelope onto) and use the little sticky foam circles to secure the envelope closed. One foam circle at the top of the circle and one at the bottom so they secure the top and bottom fold closed. Do this with all 6 envelopes. I found it’s easier to open the envelope with these foam circles than using glue. Glue the 6 envelopes to the 8.5×11 cardstock. You’re done! and a difference Scripture verse to encourage them! and a paper cutter/trimmer is handy to use instead of scissors if you’re at all like me and can’t seem to cut a straight line! This post contains affiliate links – this means that should you choose to purchase any items, then Rob and I would receive a small commission at no cost to you. Thank you for your support!